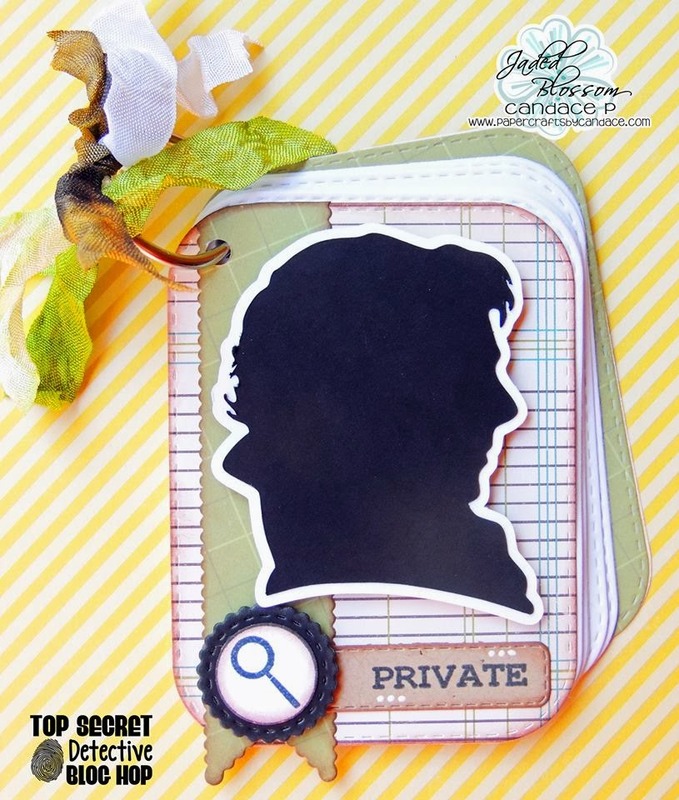 Paper Crafts by Candace: TOP SECRET Detective Blog Hop! Hey everyone! 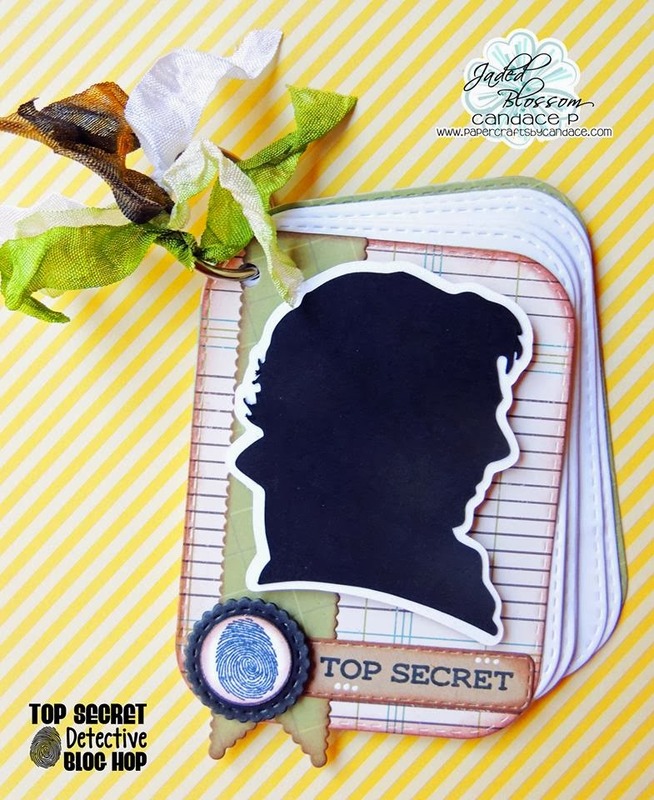 Have you checked out the TOP SECRET Detective Blog Hop yet? If you haven't make sure to check out the map and do the hop! There are prizes along each stop and a GRAND PRIZE for completing the secret phrase. But if you were interested in close ups of my project your in the right place! 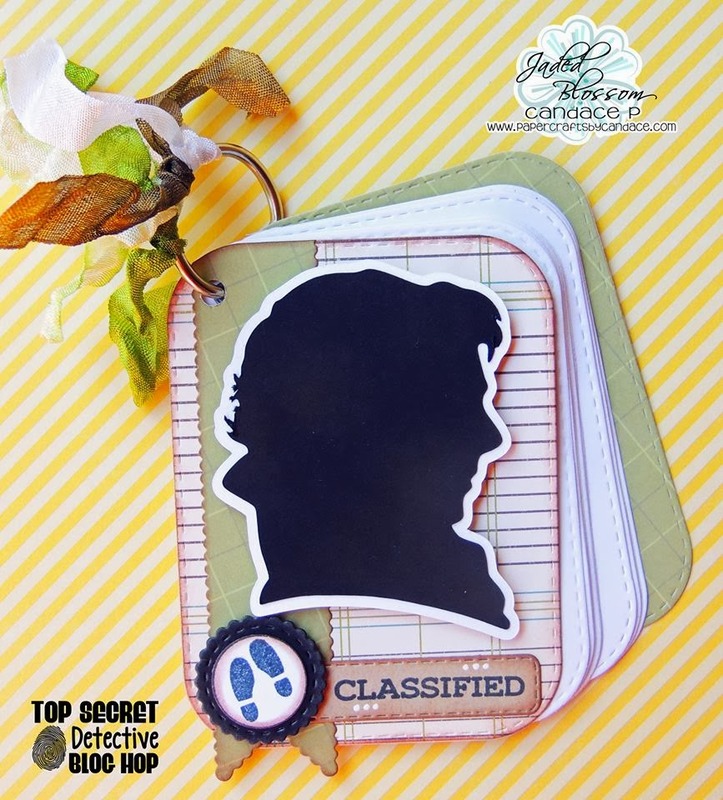 I LOVE the new Sherlock show so of course I had to do a Benedict Cumberbatch (Sherlock) silhouette! Here is a close up of the notepads. To make them I used.. 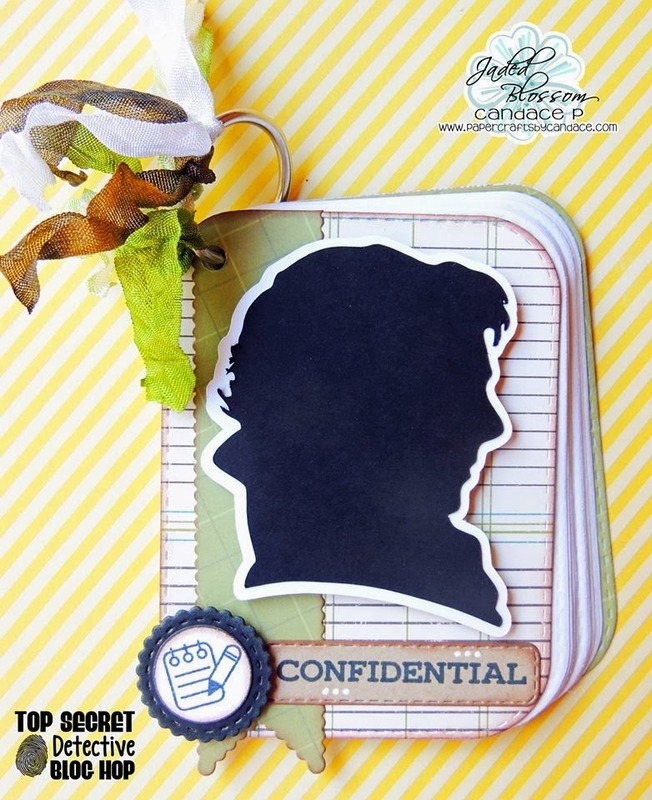 The silhouette is a FREEBIE from SVG Cutting Files! It is free TODAY only! 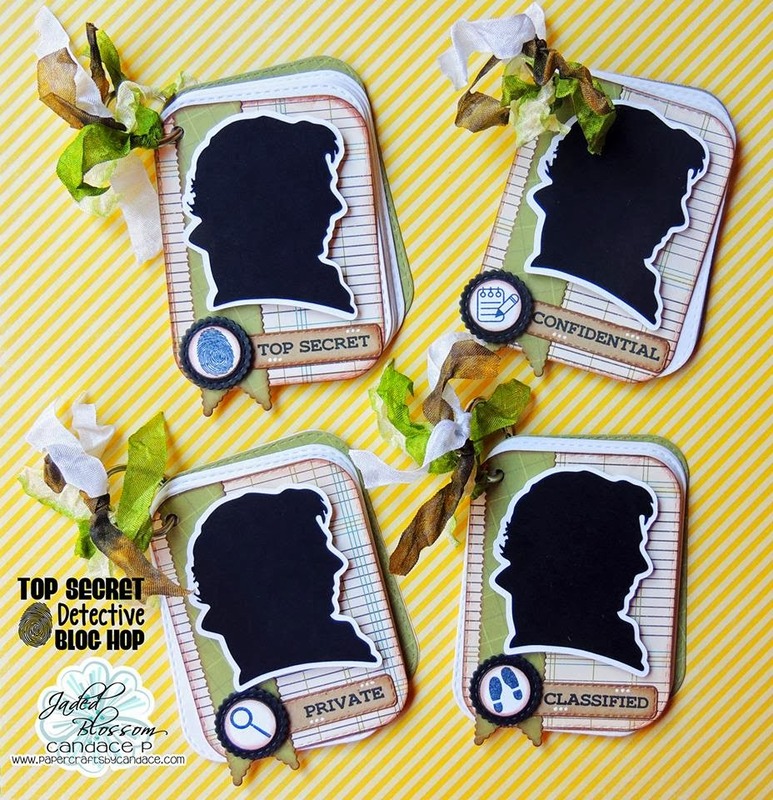 And I had to tie it all together with some Lovebug Creations Rumple Ribbons! Make sure to check out the MAP to do the hop! This is Awesome, Love the Notepads.